Since any delay would complicate their plans, the eyes of over 400,000 reservation holders are currently on Tesla’s Model 3 production program. In order to reduce the risk of delays, Tesla is running a rigorous sourcing program for the upcoming all-electric vehicle, which made a victim earlier this year when a supplier was stung by a $100 million parts cancellation by Tesla. But those reservations also facilitate the sourcing since suppliers are encouraged by the large backlog and another supplier announced having won an important contract for the Model 3 this week. 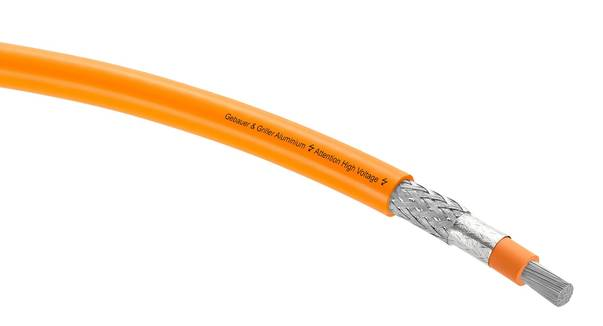 Vienna-based cable supplier Gebauer & Griller announced that it received an order for about 3,000 km of ‘shielded aluminum cable’ from Tesla for the Model 3 program. They value the order at 3-5 million euros ($3.2 million to $5.4 million USD). Those cables have high power capacity and are used to connect the battery pack to the electric motor. The shielding is used to protect against electromagnetic interference. They expect that the order will require them to add jobs at their plant in Poysdorf (Lower Austria) where they already employ 930 employees. It not clear how many vehicles could be built with 3,000 km, but we assume that it is a lot since we are only talking about a relatively short amount per car and not the entire wiring. Last month, Tesla CEO Elon Musk revealed that a Model 3 has 1.5 km of wiring, which is about half of the ~3 km of wiring in the Model S, but that includes everything from the battery to the Autopilot sensors and not only the power cables. Some of it is visible in the rendering shown during the unveiling – image featured above. As we recently reported, Tesla plans to start Model 3 production in July starting with about 1,000 vehicles per week and ramping up to 5,000 per week in September.